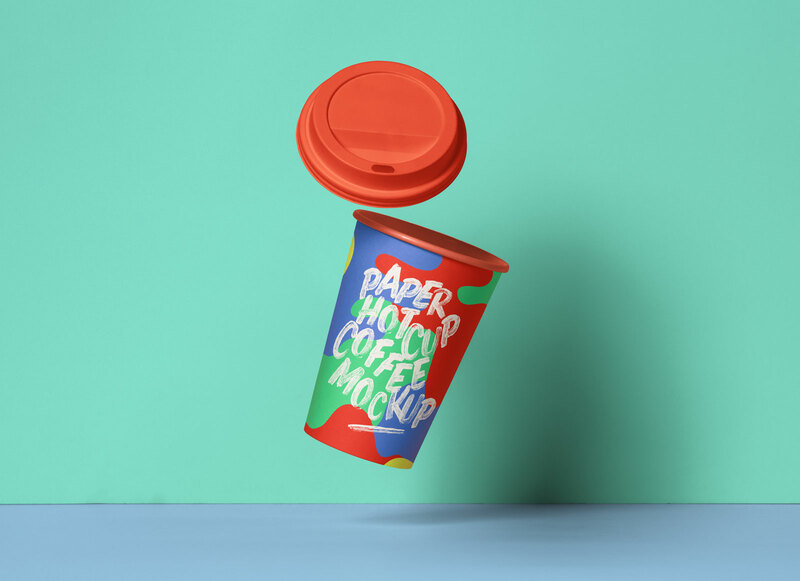 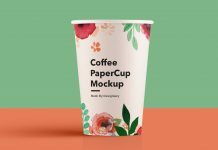 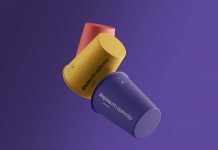 A fully customizable paper coffee cup mockup psd floating in the air and casting a realistic shadow. 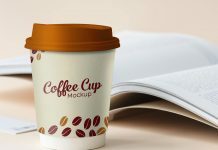 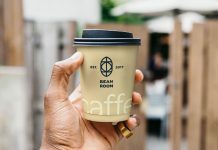 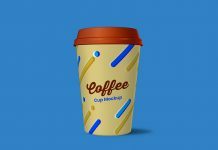 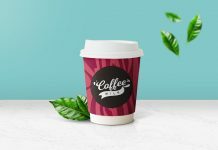 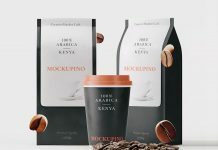 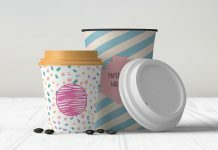 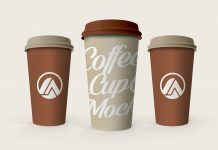 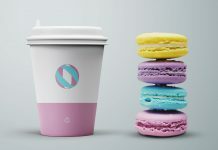 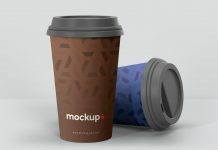 In this coffee cup mockup you can change the color of the cup cap, base color of the cup, wall color as well as the floor color. 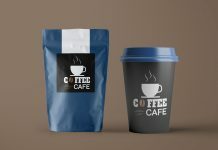 Easily place artwork by using smart object and get an attractive outcome of your design.